Students hustle and bustle around a bulletin board covered with abstract kittens in Mrs. Gordon's first-grade classroom. These works of art were created as part of a new part program in the Palm Springs Unified School District. PSUSD's All-District Art Show debuts this month as a showcase for some of the valley's young artists (grades K to 12) in an attempt to include the community in their education. Approximately 150 works including painting, photography, and ceramics will be displayed. "There's a tremendous student interest in the arts," says Louisa Castrodale, the district's visual and performing arts specialist. "We try to expose students to the different varieties of art. When you put that in front of children, it expands their knowledge base and their cultural literacy." "I really like doing art," says Charina Sabado, a fifth-grader in the program at Cielo Vista Elementary School. "We all work on projects together, and it makes school more fun. I want to be an artist when I grow up, maybe a painter." Keeping art in public education has sparked an interest in both students and teacher, which evidences the importance of doing so. "Incorporating the arts into regular educational studies like math and science encourages kids to persist in those subjects by taking off some of that academic stress. More students continue in school and less drop out," Castrodale says. The program surpasses the confines of the classroom, as there are after-school programs and guest demonstrations to expose students to different fields of art. 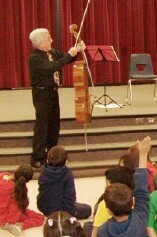 Musician Ray Kelley, for example, plays his 1694 Giovanni Grancino cello for students and talks with them about music development. "It's a wonderful thing that the PSUSD has a special pro¬gram that brings music awareness to the students," he says, nodding and grinning. "Art is something that you take with you your whole life. 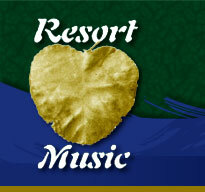 It opens you to the cultural aspects of society, and that is so important."